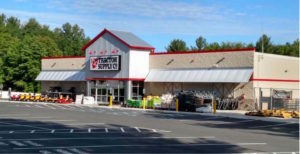 New England Retail Properties, Inc. announces the sale of the Tractor Supply development located at 1313 Main Street in Millis, Massachusetts for a price of $5.8million. The property was sold through AEI, Chicago, IL. 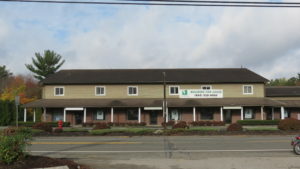 The tenant is investment grade and drew significant interest from several groups. Matthew J. Darling, VP of Development at NERP and Ian Harrison of AEI Capital Corporation handled the negotiations between the Seller and Purchaser. 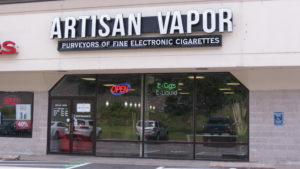 Steve Becker, Broker at New England Retail Properties, Inc., is proud to announce the opening of Artisan Vapor Company’s 4th store in Connecticut in River Centre at 77 Berlin Road in Cromwell, Connecticut. Artisan Vapor joins Goodwill, Randy’s Wooster Street Pizza, Cost Cutters, Vivi’s Nail Salon and more. Steve Becker, Broker for New England Retail Properties, Inc., is proud to announce the leasing of Ichiban Express’ first Connecticut store at 1450 East Street in New Britain, Connecticut. The location is adjacent to the Central Connecticut State University campus, home to more than 12,000 undergraduates. Ichiban has commenced construction and plan to open later this year. They will occupy 2,100 square feet of inline space in the Dollar General Plaza with Dollar General, Pizza Hut and Hot Harry’s Fresh Burritos. 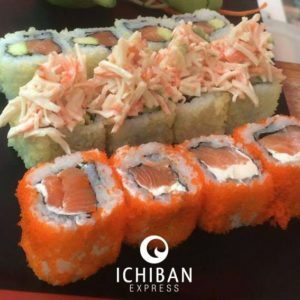 Ichiban Express brings you best quality Japanese food in a friendly environment. Whether you’re looking for a quick meal break or sushi delivery to your doorstep, freshness is always guaranteed. 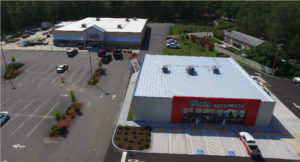 New England Retail Properties, Inc. has announced the sale of the Tractor Supply/O’Reilly Auto development located at 2750 Hartford Avenue (Route 6) in Johnston, Rhode Island for a price of slightly more than $7 million. New England Retail Properties, Inc. has announced the sale of a 12,300 square foot multi-tenanted building located on Route 1 in Ipswich, Massachusetts. The building was situated on a portion of a 22 acre site previously operated as a mini-golf and driving range and initially acquired by an affiliate of New England Retail Properties in April, 2014 to be developed for Tractor Supply Company. Subsequent to the purchase of the property, a lease for the entire building was signed with Galleria Stone & Tile which contained provisions allowing them to purchase the property upon certain conditions being met. Galleria Stone & Tile, which has several locations throughout New England elected to exercise their right to acquire the property in December, 2016 for $950,000.